Though her sisters Charlotte and Emily receive greater attention, there is something pleasant in the quiet reflections and social commentaries within Anne Brontë’s literary contributions. In her first published novel, Anne tells the coming-of-age story of Agnes who lives at home with her parents and her sister, Mary. When her father loses all of their money in a business venture, Agnes desperately wants to contribute to reestablishing the family’s economic and emotional security. Though her parents continue to treat her as a child, Agnes convinces them that she can work as a governess and help earn money to support the family. Agnes’ first position is with the Bloomfields where she tutors and cares for two children, Mary Ann and Tom. Though Mary Ann is spoiled, Agnes’ true difficulties stem from Tom’s vicious cruelty and sadistic delight in killing and torturing animals, a behavior encouraged by his drunk uncle, Mr. Robson. When Agnes intervenes and chooses to kill a nest of birds to spare them from Tom’s torture, she is let go and humiliated at losing her position. Agnes briefly returns home before beginning her next post as a governess to the Murray family where she attends to their adolescent daughters Matilda and Rosalie. Rosalie soon proves to be a huge flirt and tease and both sister vie for men’s attentions while demonstrating their selfishness, vanity, and disinterest in education. The job weighs on Agnes and she takes brief respite in a trip home for her sister’s marriage though when she returns she finds Rosalie’s behavior is worse than ever. Agnes finds friendship, however, in the congenial curate Mr. Weston with whom she frequently crosses paths during their charitable works amid the church’s congregation. Agnes’ feelings for Mr. Weston grow but her modest nature prevents her from competing for the curate’s attention, particularly when Rosalie interrupts them and unabashedly flirts with him. Agnes’ heartache and pain in her isolated position as governess escalates and when her father dies, she seizes the opportunity to run home and open a school with her mother. The distance, however, cannot remove Mr. Weston from her memory. 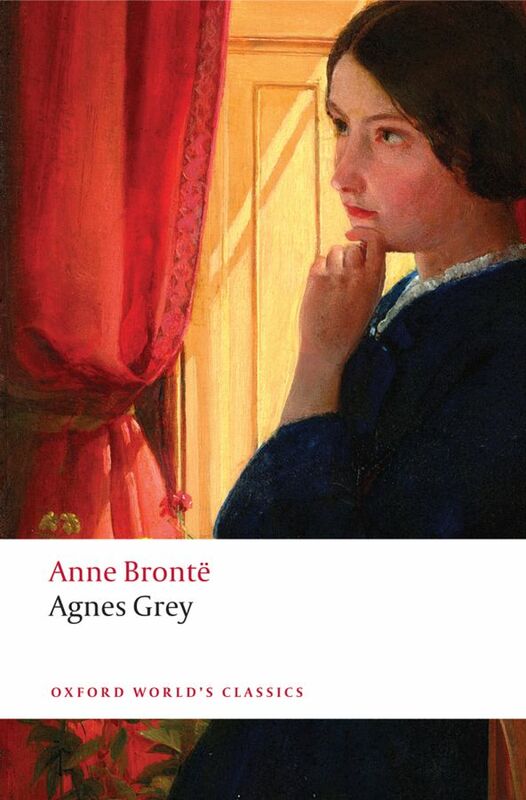 Anne Brontë’s novel reveals much about the author’s perspectives on Victorian class struggles, women’s limited economic opportunities, her dissatisfaction with children’s manners and education, and how she perceived love, affection, and romantic male leads—a far cry from the famed Rochester and Heathcliff protagonists of her sisters’ novels. While less skilled in execution, Agnes Grey is nevertheless a worthwhile read and interesting depiction of mid-nineteenth century middle class life.